This sign is an odd shape, but the design is great, per usual with all Mobil signs. The color scheme is the standard red, blue, and white. 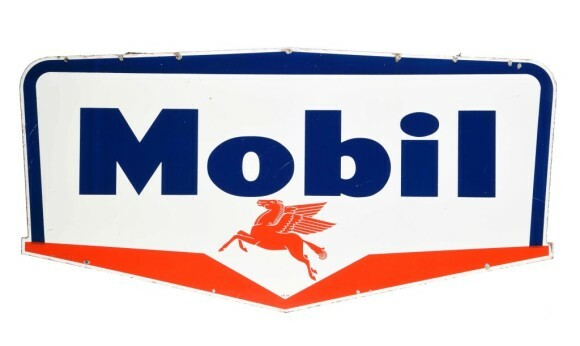 In the center is the text “Mobil” with the Pegasus underneath.